The Siberian Tiger, also known as Amur Tiger is the largest “pure blood” wild cat (as opposed to the Liger). Almost all these deadly predators live in the Southeastern part of Russia, east of the Amur river, although in the past, they inhabited vast territories ranging from Northeastern China to as far West as Mongolia. The Siberian Tiger prefers mountain river valleys, in forests mostly composed of coniferous trees such as pine and spruce. Because of living in extremely cold areas, where the sun doesn’t rise much above the horizon, the Siberian Tigers are coated with thick, dense fur, which is notably longer on the head, almost covering the ears. In the past those Siberian Tigers that inhabited the more Western territories had a very different coat that was adapted to living in more warm climates. In fact, they were considered a different subspecies (Caspian Tiger) although recent study has shown that they’re almost identical to the Siberian Tiger. As the Siberian Tigers now only inhabit the colder areas, all of them have winter fur, except for those that are held in zoos. The Siberian Tigers are recordists of being massive, as one specimen weighed as much as 846 pounds (383 kg) and it’s not uncommon for this subspecies of the Tiger to reach 500 pounds (227 kg), making them the heaviest wild cats. Reaching body length of 2 to 3.5 metres and the record-holder being more than 4 metres long (including the 1 m long tail), they are deadly predators that is capable of eating 100 pounds of meat during one sitting. No wonder many natives considered the Siberian Tiger almost a deity. As all tigers, they’re solitary predators that guard their own territory. Hunting is also a solitary activity, as it is more successful when done alone. The Siberian Tigers feed on boars, deers, elk, gazelles and there have even been reports of grown bears being hunted. Very much meat is needed to sustain the massive body, therefore Siberian Tigers may attack domesticated animals when in hunger and it is also not uncommon for a Siberian Tiger to travel hundreds of miles in search of food. Mating occurs at any time of the year, when a female signalizes her receptiveness. After a gestation period of about three months, three to five cubs are born and they’re sheltered in a den, nursed by the mother alone. Siberian Tigers reach sexual maturity at the age of 4 and their lifespan is up to 25 years. 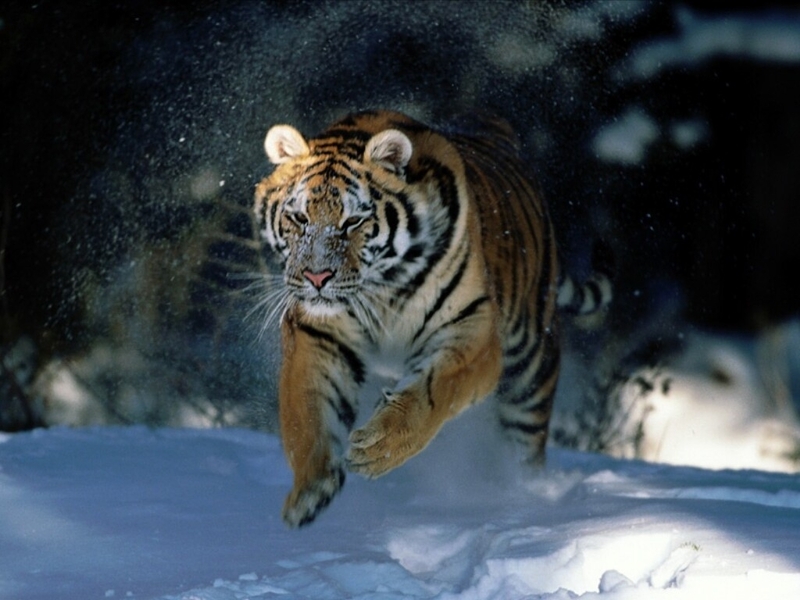 Currently, the Siberian Tiger is classified as “Endangered” by the IUCN list of endangered species. These tigers have recovered from almost extinction in 1930s when there were no more than 30 specimen in the wild, while the population is currently estimated at about 300-500. Threats to these wild cats include logging and destruction of their habitat, but the largest threat to the population is poaching. A single Siberian Tiger can yield as much as $50k in the illegal market for its fur, meat and bones. The story of the Siberian Tiger is about success – how the population has recovered from the brink of extinction and as of now, the future of these wild cats seems bright. SAVE the life of TIGERS . If we killed all the tigers then one day our child will read in the books that there was tiger on the earth just like we are reading about dianosores .So please save them , live and let live . 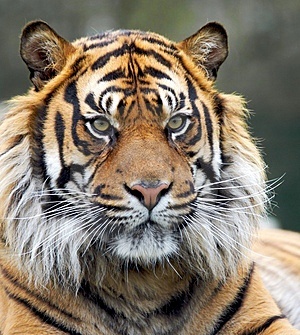 Siberian tigers and South China tigers are the most endangered cat species in the world. In the wild they were fewer than three thousand, and their number is constantly decreasing. People hunt them for their fur and because of traditional Asian medicine. It would be a shame that these amazing animals are gone forever, and remain only in stories. dont let the siberian tigers go extinct!!! !